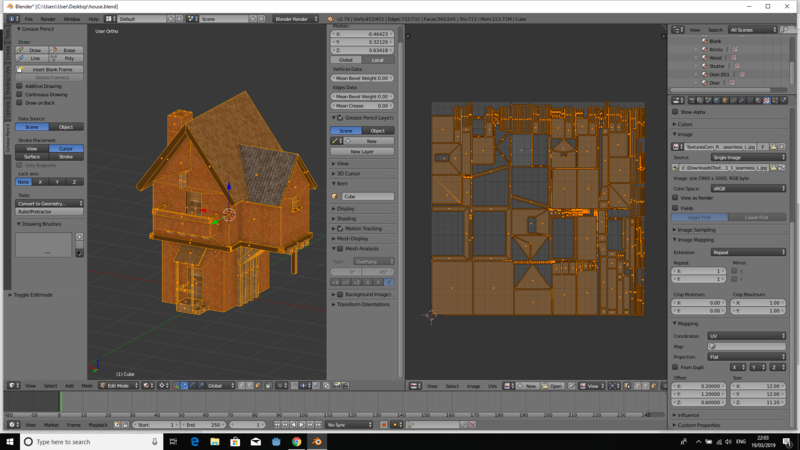 I UV smart unwrapped the model to a layout and applied the relevant materials and textures. In 3D View, the textures look fine (as shown above). 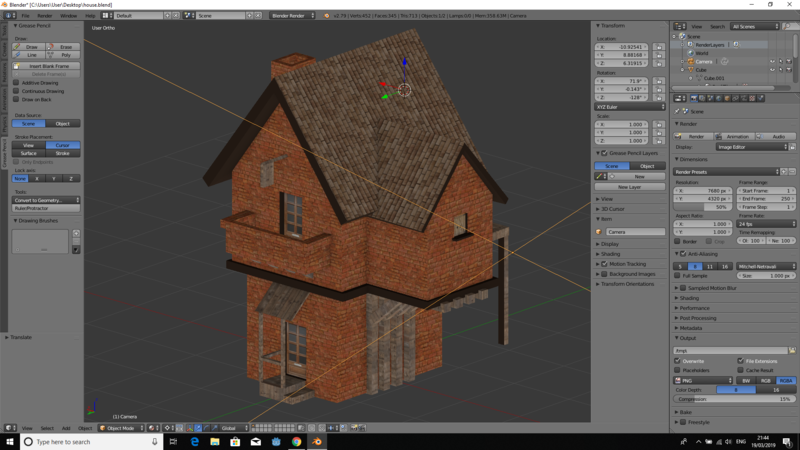 However on rendering, the brick and wood textures become distorted (see below) (notice the roof is fine). What is the cause of this? I have been asked to detail the process by which I apply a material / texture so here it goes. Firstly, I smart unwrapped the model as shown. 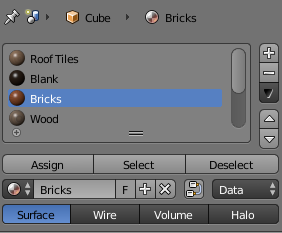 I then create a new material (in this case a brick material). 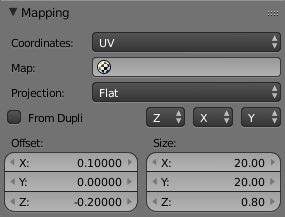 I do some mapping of the X/Y coordinates in order to resize my image texture to fit the face. Finally I select the face to which I wish to apply the material and hit assign. Occassionally, the bricks will have the wrong rotation and so I will rotate the UV island within the UV layout in order to have the brick texture rotate into the correct position. In 3D view, the textures look perfect, when rendered, something is going very wrong. After some playing around, I've identified my mistake. The XYZ coordinates under 'Mapping' in the texture properties were different for the distorted textures. 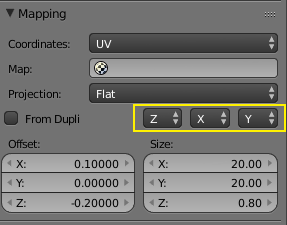 I corrected these so that the order of the XYZ is the same for all textures. The image now renders correctly. Not the answer you're looking for? 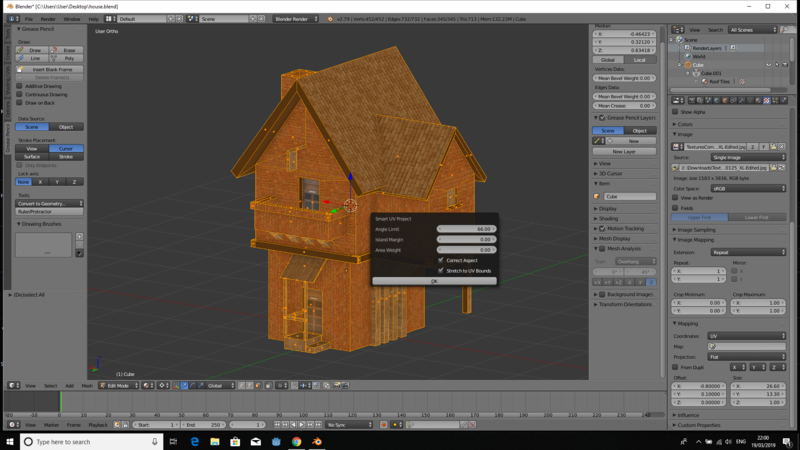 Browse other questions tagged rendering texturing materials or ask your own question. Why do materials & textures look different in material mode & Cycles render mode? 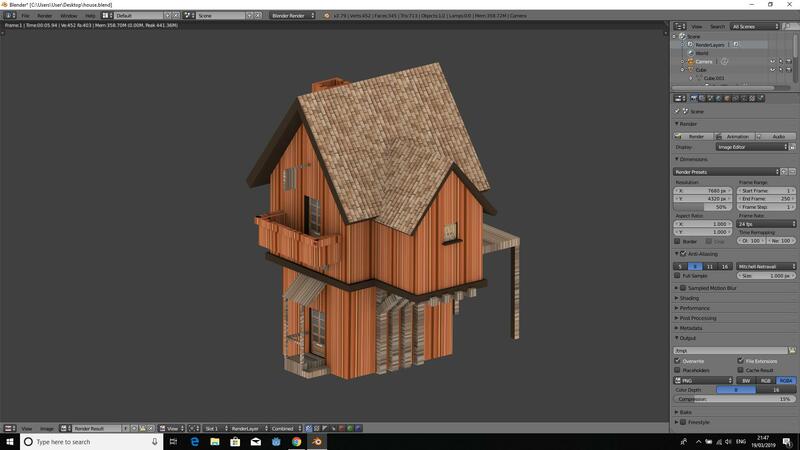 How can I put different textures/materials on different parts of the same mesh?